As a native Floridian and consultant to the real estate industry for over 18 years (eight of them on Wall Street and the rest here in Florida), I am keenly aware of the unique qualities of the state’s distinct metropolitan areas. In recent months, I have traveled the state assessing potential and existing residential developments and investments. 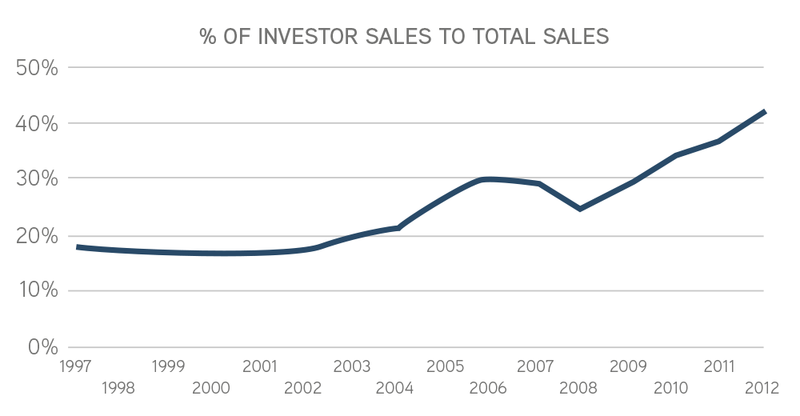 Investors represent 43.4% of resale activity in Orlando. Many of these are foreign buyers coming from South America, Europe, China, and Russia. Orlando’s economy is growing rapidly, which is also driving primary buyers to the housing market. Submarkets like Horizons West and Lake Nona are booming, due in part to growth in the tourism and medical industries. Approximately 86% of Tampa’s new home sales are concentrated in the $200,000−$350,000 range. There is opportunity for differentiation of product in that range. The tight price range is due to Tampa’s local industries. Back-office and service-center jobs drive the local economy, which in turn should drive housing demand, but within a tight price range. With three age-restricted communities clustered in one submarket of Tampa, there is opportunity for more geographic and product segmentation. We are projecting annual population growth in the 2.0% to 3.5% range in Naples, Fort Myers, and Sarasota, where the median age is 48.4 years. Naples will benefit from its status as a premier retirement destination with upscale housing. Fort Myers is typically considered the lower cost alternative to Naples, but some submarkets such as Bonita Beach and Estero are gaining in popularity and established status, resulting in rising home prices. Sarasota is poised for strong growth in the future, with an established cultural base, a wide range of housing, proximity to Tampa, and some available land. Minimal land to develop because the Everglades start about 25 miles inland−unentitled land, golf courses, infill condos. and townhomes are experiencing strong activity. South Florida is also the gateway to the US for those from South America. The condominium market up and down the coastline is booming with foreign investors, and the single-family markets are benefiting as well. Jacksonville has a large number of masterplanned communities, which typically command a premium over smaller developments. This premium left out the affordable buyer, which delayed Jacksonville’s housing market recovery. Jacksonville’s housing market is improving, and some submarkets are experiencing stronger growth than others, such as Southeast Jacksonville and St. Augustine. If you have any questions, please contact Lesley Deutch at (561)998-5814 or by email.